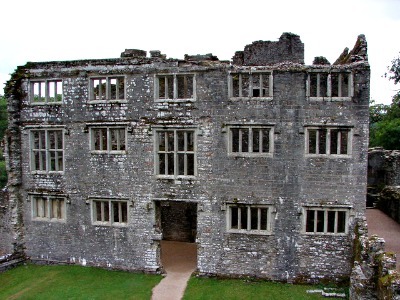 Is Berry Pomeroy castle haunted? 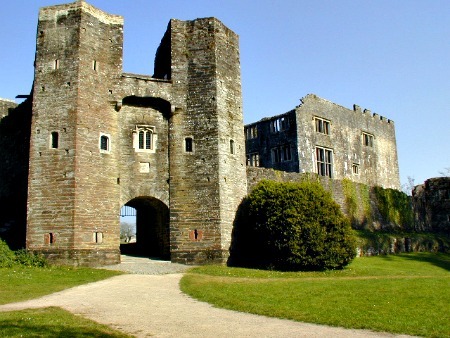 Berry Pomeroy castle was built within the walls of an earlier standing castle. It is a Tudor mansion constructed in the 15th century by the Pomeroy family who lived in the castle for almost 400 years until running into financial difficulty in 1547, when it was sold to the 1st Duke of Somerset, Edward Seymour. Since then the castle has remained in the possession of the Seymour family, apart from a brief repossession by the crown after Edwards execution. During the 17th century Wiltshire became the site of residence for the ruling family member and the castle lay abandoned for 100 years. The castle fell into ruin and the family maintained their main residence elsewhere, leaving the castle to decay until it was noticed for its picturesque appearance and became popular with tourists. The castle is currently open to the public as tourist attraction. Please check with the castle directly to check on seasonal opening times. Castles always seem to have a ghost story, no matter how small they always have one, and this place is no different. There are many stories of the paranormal activity that goes on here, depending on who you talk to, and undoubtedly many of these stories will be the products of people trying to creep others out around camp fires. Though this castle does not have the highest number of ghosts or the most active, it certainly has some notable ones. The 2 main spirits which have been seen and reported many times are that of 2 women, one in a white gown with a misty glow about her, and the other in blue. There is a local legend about the woman in blue. Though there are no leads on who she actually is, it is said to never follow her when she beckons you. She has been seen standing on the ramparts staring at visitors to the castle, motioning her hand to them to follow. The woman in white is thought to be the ghost of Margaret Pomeroy. She and her sister Lady Eleanor fell in love with the same man. Eleanor was thought to be an intensely jealous person and after a row she had her sister imprisoned in the castle dungeons. It is within the dungeon area where people have claimed to see her apparition sitting in a corner of the room. Also the soft sound of crying coming from the area when it is empty seems to be a common occurrence.